Finding A Way To Manage Your Financial Inconvenience In Vancouver BC? 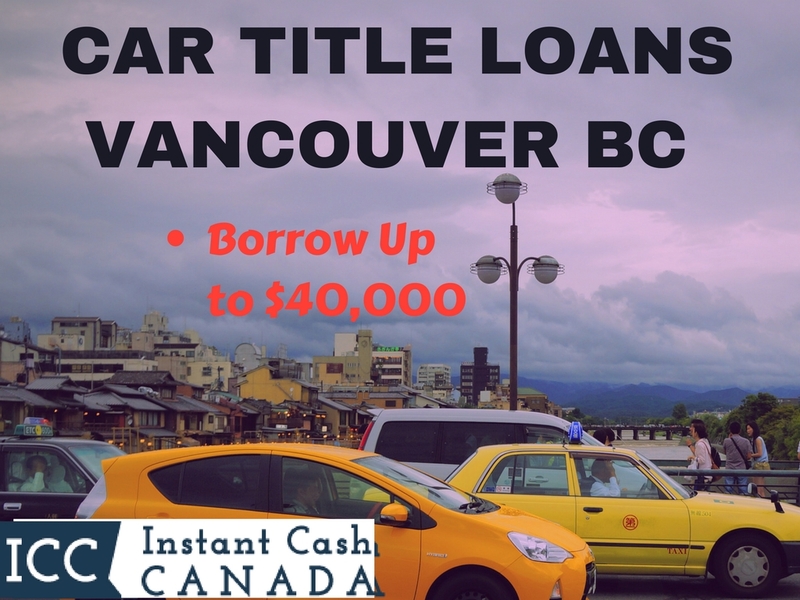 Apply For Car Title Loans Vancouver BC At Instant Cash Canada Today! We never analyze your credit score when applying for vehicle title loans Vancouver BC. In fact, we don’t even perform a credit check! Your vehicle’s equity is the collateral, so we can get you approved as quickly as possible. You’re Just A Few Steps Away From Getting The Cash You Need! Step 1. Contact us (toll-free) 1-866-840-7395 or apply online for auto title loans Vancouver BC. Step 3. Keep driving your car. The minimal factors that Instant Cash Canada consider are the year, make, model, mileage, and condition of the vehicle!